Inbox Grader by Freshworks, brings insights to teams using gmail. You can now measure the number of emails you received, replies sent, average response time, etc. 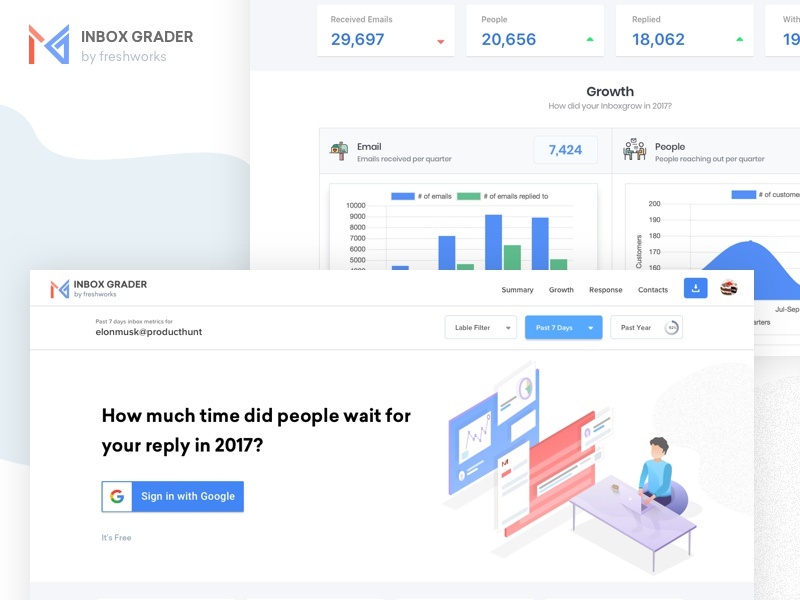 Inbox Grader also generates your Year in review video that you can share with your team or customers. We’re featured on Product Hunt – Inbox gradertoday… Show us some love!